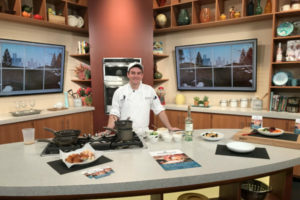 To kick off Birmingham Restaurant Week, Streetside Seafood’s Chef Jonathan Rickloff joins the Fox 2 Detroit News team in their on-set kitchen. Chef Rickloff prepares Seafood Polenta, one of the dishes featured on Streetside’s dinner menu during Restaurant Week. Click here to see the entire cooking segment.